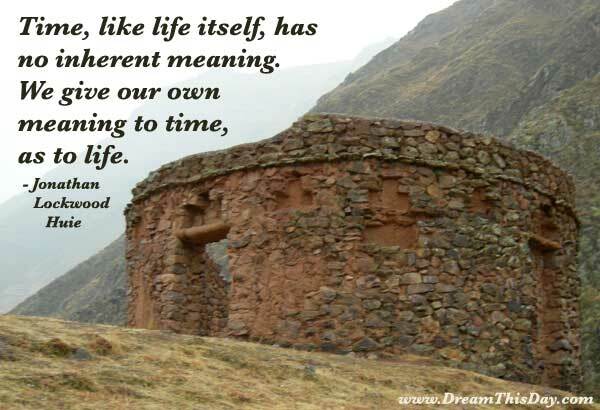 Daily Inspiration - Daily Quotes: Time, like life itself, has no inherent meaning. TIME is priceless and keeps on moving without caring for the prevailing conditions in the universe.The art of utilizing the time in a progressive way is in our hands. Proper TIME MANAGEMENT should be the AMBITION OF LIFE. We all come from one light to live in oneness to love and care without man made labels of religions created to divide and rule under fears of falsehood of Infinite(gods) which remains incomprehensible to humanity but Cosmos law of actions and reactions prevails.